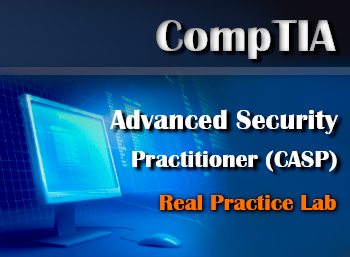 Overview: CompTIA Advanced Security Practitioner (CASP) Practice-Lab will provide you with the necessary platform to gain hands-on skills in advanced IT security. By completing the lab tasks, you will improve your practical skills in enterprise security, risk management and incident response, research, analysis and assessment, integration of computing, communications and business disciplines and technical integration of enterprise components. These same tasks will help you understand the objectives and competencies required by the CompTIA CASP (CAS-002) certification exam. The CompTIA CASP certification (CAS-002) is an advanced certificate aimed at IT professionals with 10 years’ experience in IT administration; including 5 years of hands-on technical security experience. However, no prior hands-on experience is required to use or complete this Practice Lab. 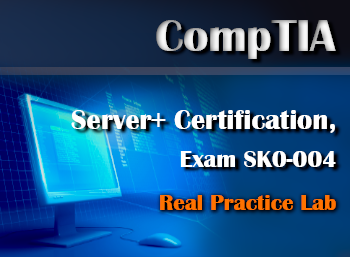 This Practice Lab focuses on the practical aspects of the CASP (CAS-002) exam objectives. It is therefore advised to refer to your own course materials to gain a deeper understanding of any theoretical aspects of the exam objectives.